In order to accommodate an advertising photography and campaign studio shoot in London for Asahi we were, as the saying goes, going to need a “bigger boat” or in our case a bigger studio. 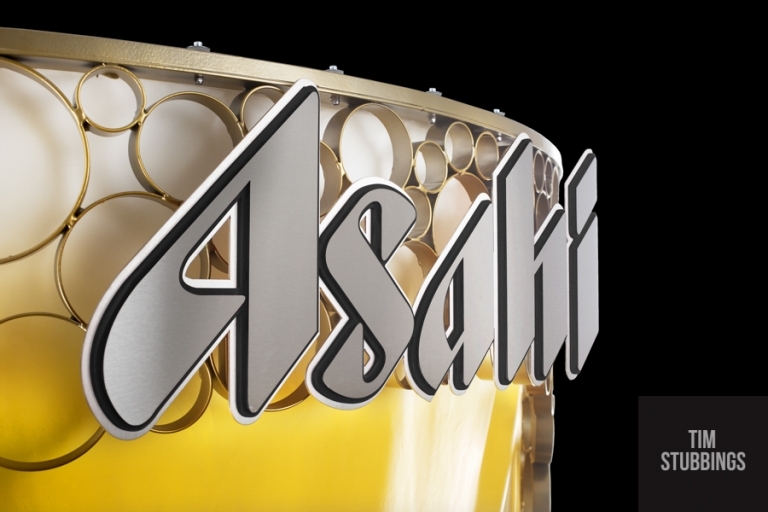 The Japanese lager brand Asahi and creative agency 10x have launched a super slow-motion video booth that will tour the UK, as part of an integrated PR campaign. Shepherd Neame – Britain’s Oldest Brewer – manages the UK marketing and distribution for Asahi Super Dry and has been brewing the beer under licence since 2005. 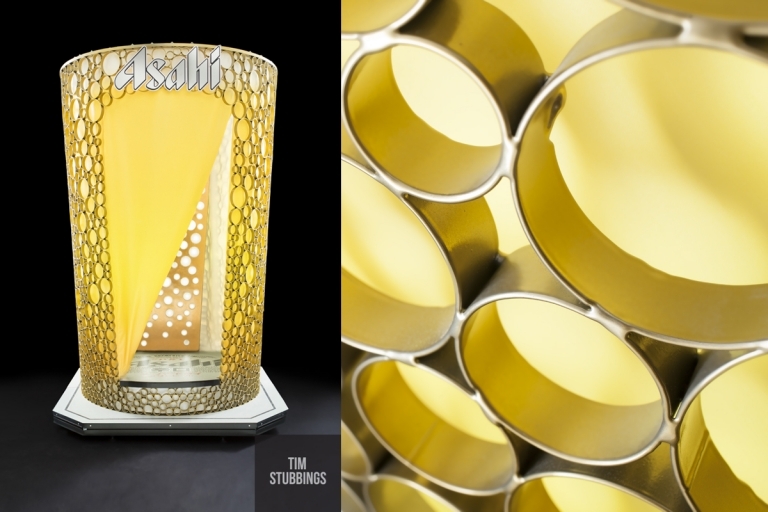 The “Slow-Mo Booth” featured in the advertising photography and campaign studio shoot for Asahi is over 3 metres high and will enable up to four people to capture their best moments in cinematic slow motion video and share them on social media. 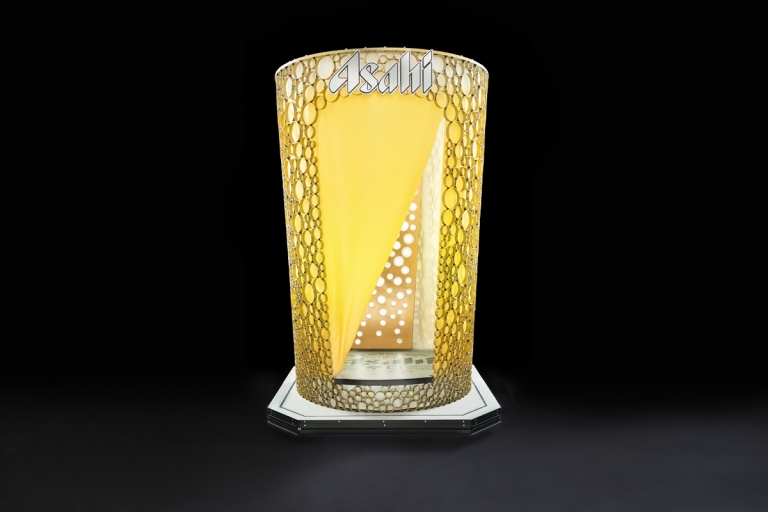 It contains a range of special effects, including a jet of malt-infused condensation, mimicking the experience of opening a bottle of beer, and 100 ping-pong balls launched two metres into the air from a secret trap door, mirroring the bubbles in beer – all aiming to make guests feel like they are literally inside a pint of Asahi. In order to accommodate simultaneous video shooting and stills production, we decamped to Tower Bridge Studios in London. 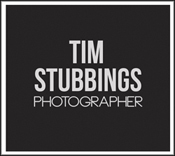 Big thanks to Rich Maxted for helping with the lighting rigs.